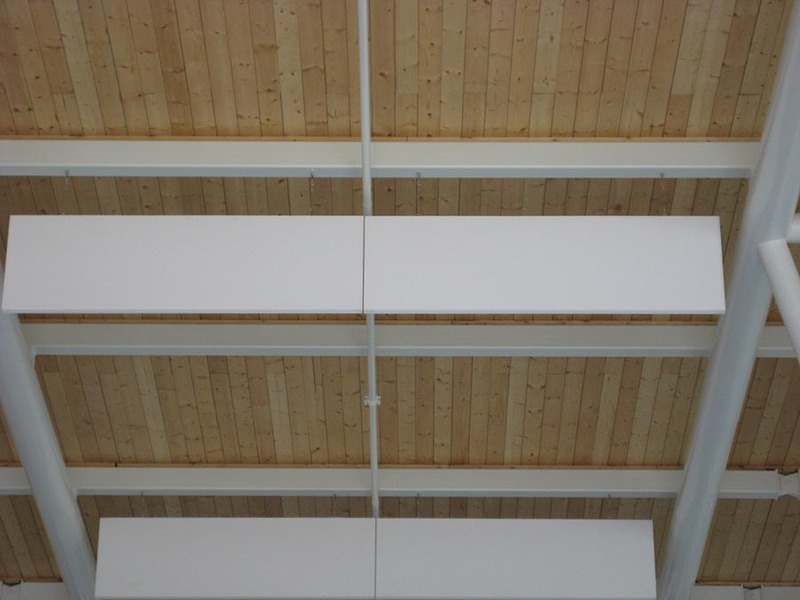 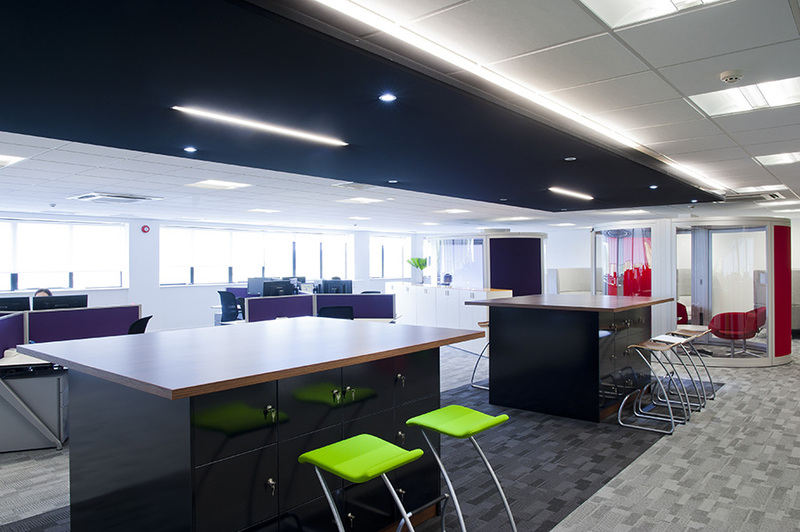 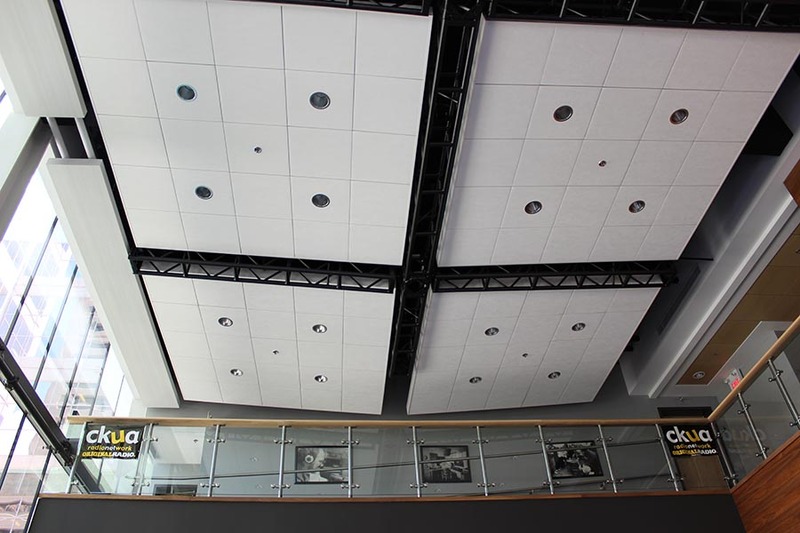 The company that revolutionized the window coverings industry and pioneered metal suspended ceilings worldwide, has taken on a new challenge – suspended acoustical ceilings. 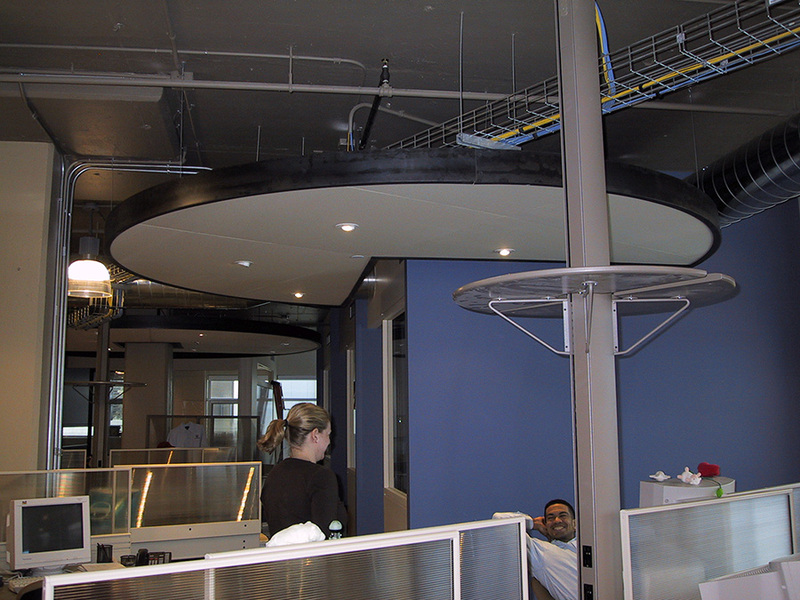 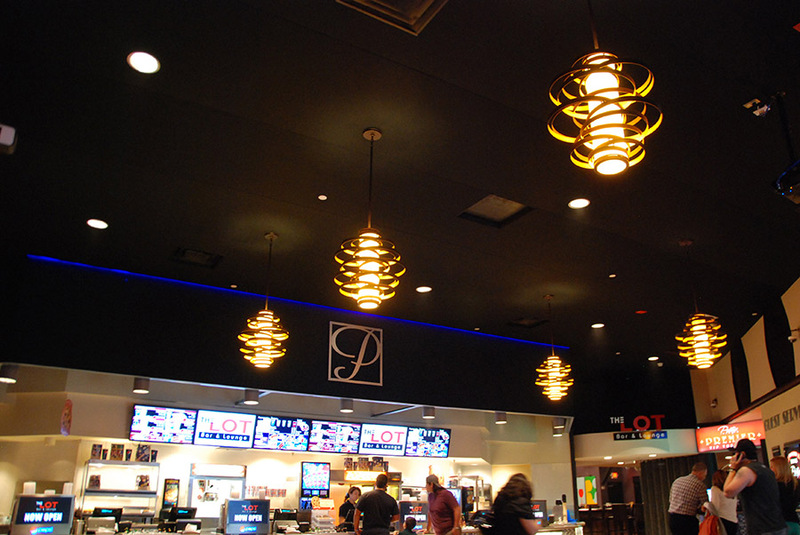 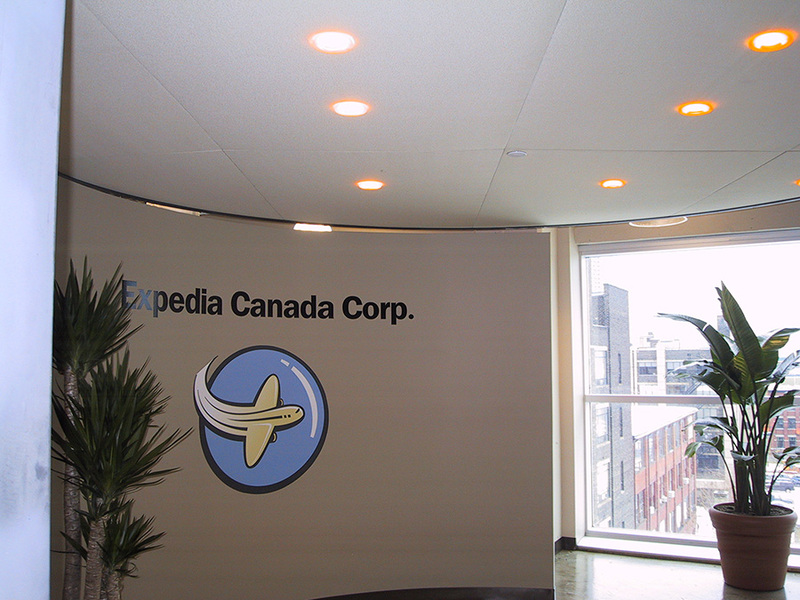 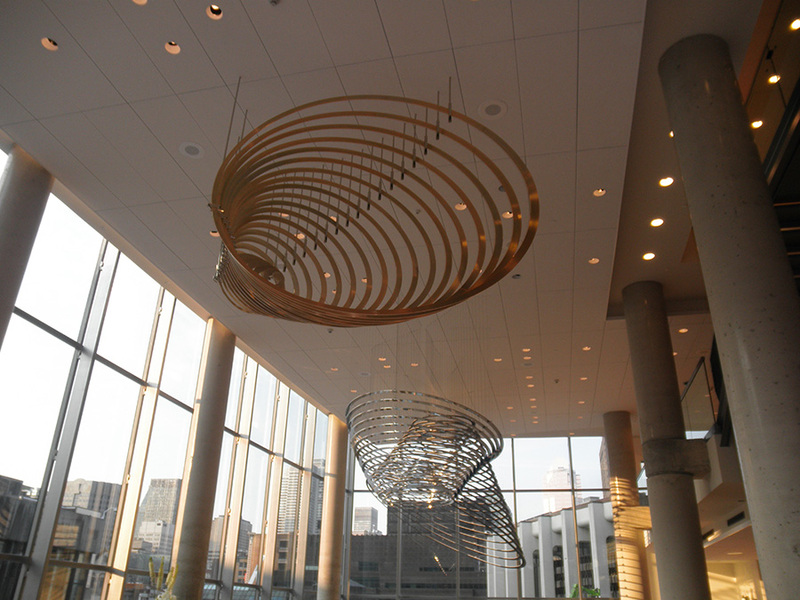 Techstyle® Acoustical Ceilings are ideal for installation along curved walls or exotic floating island designs. 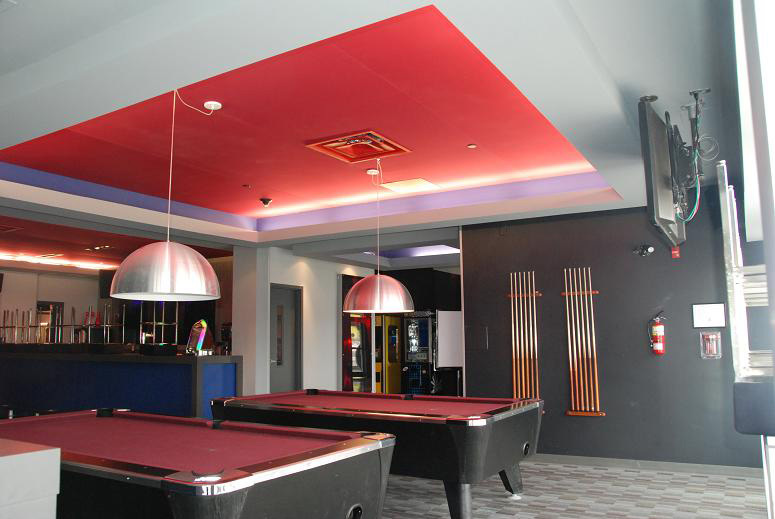 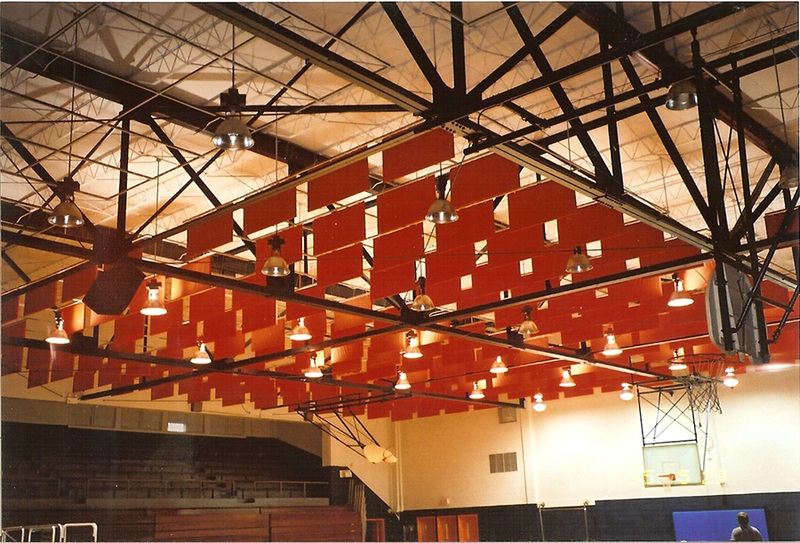 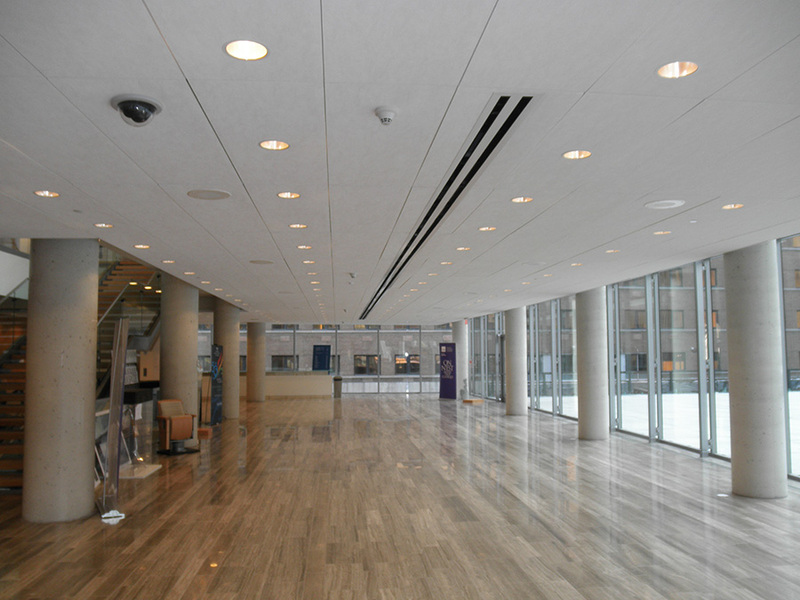 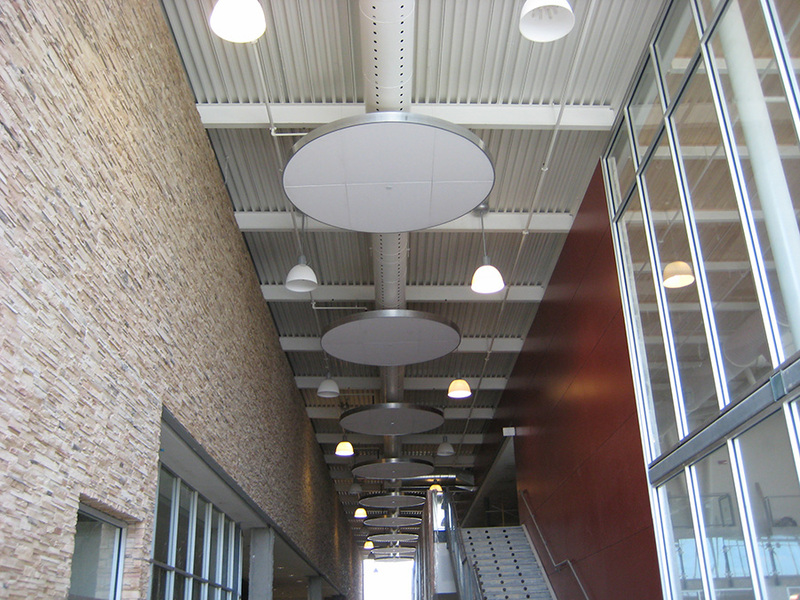 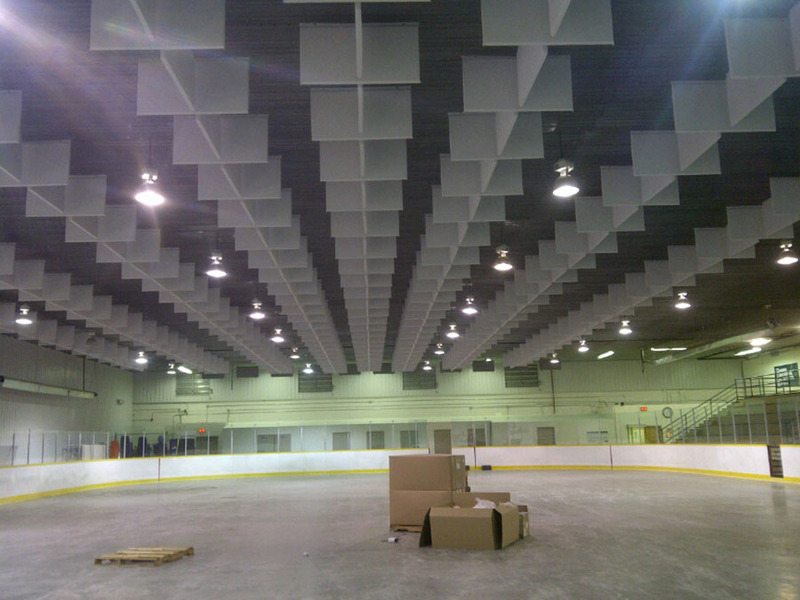 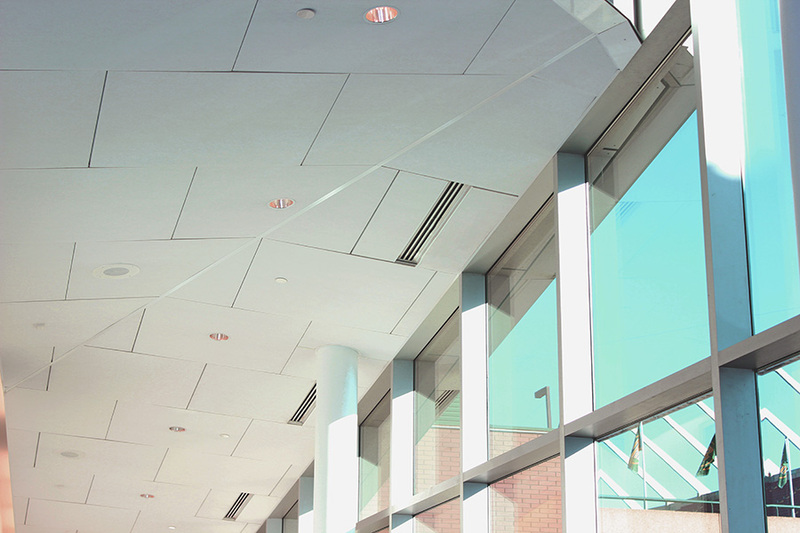 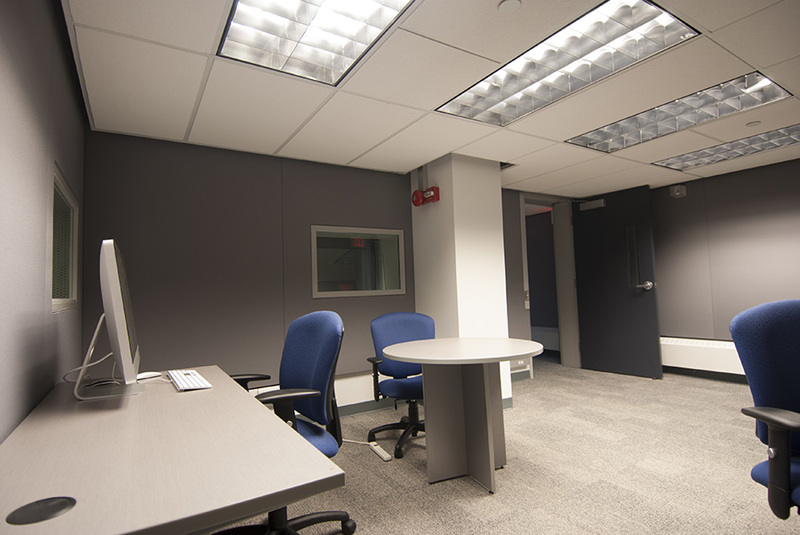 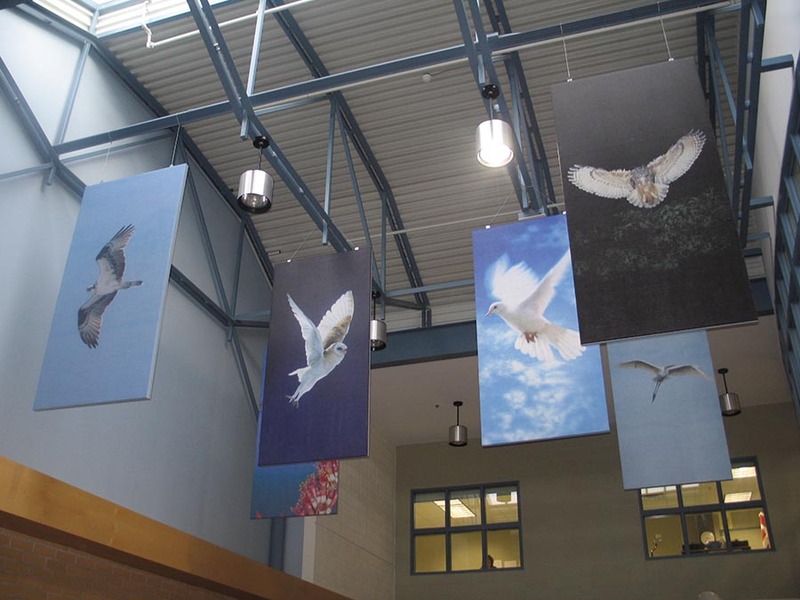 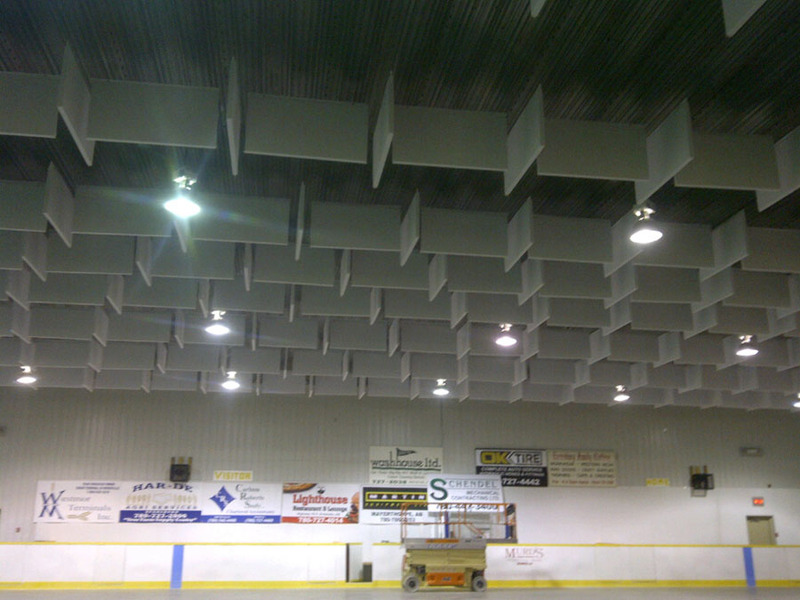 Techstyle® acoustical ceiling panels and wall panels offer unprecedented performance, accessibility, and customization. 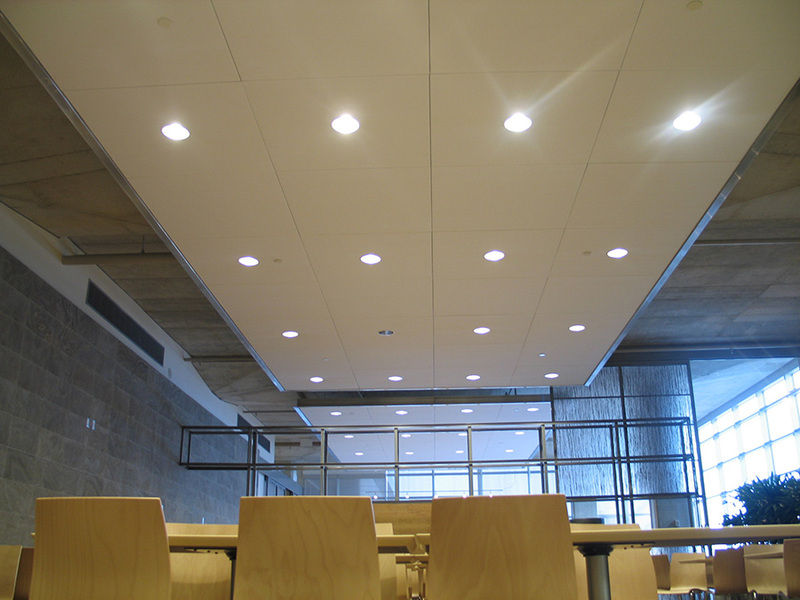 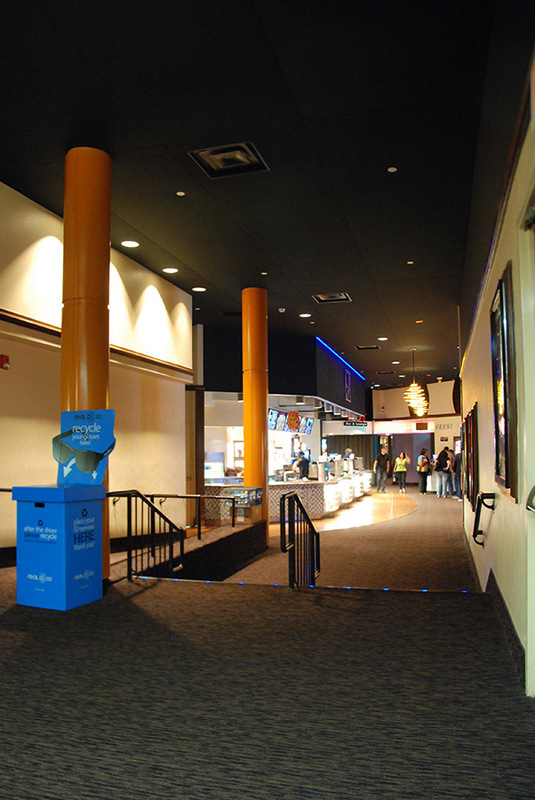 Available in a wide variety of colors, sizes from 2′ x 2′ to 4′ x 6′, and several installation options. 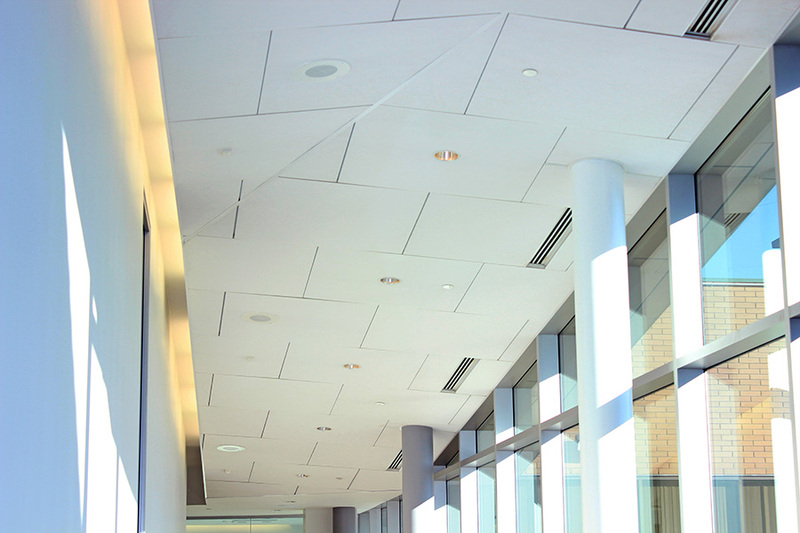 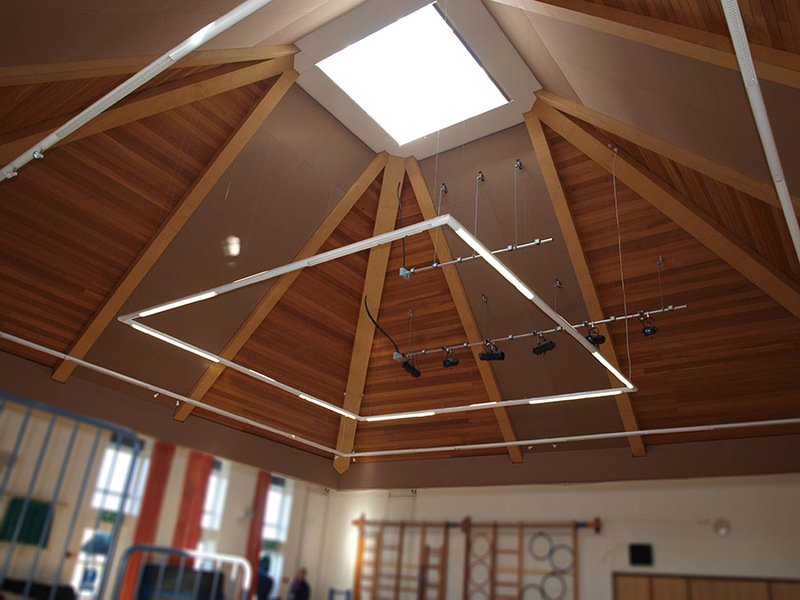 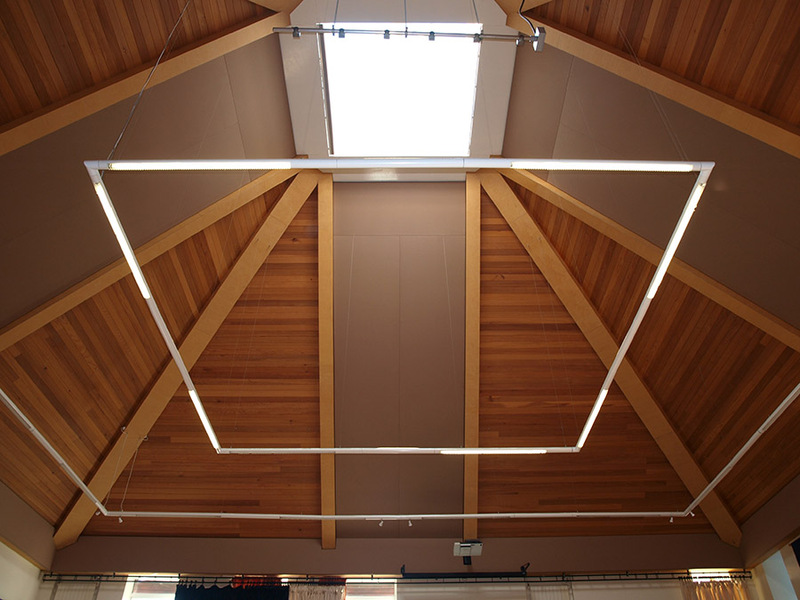 Avanti products are engineered and custom-manufactured by Sound Solutions to client-specified acoustical and aesthetic specifications. 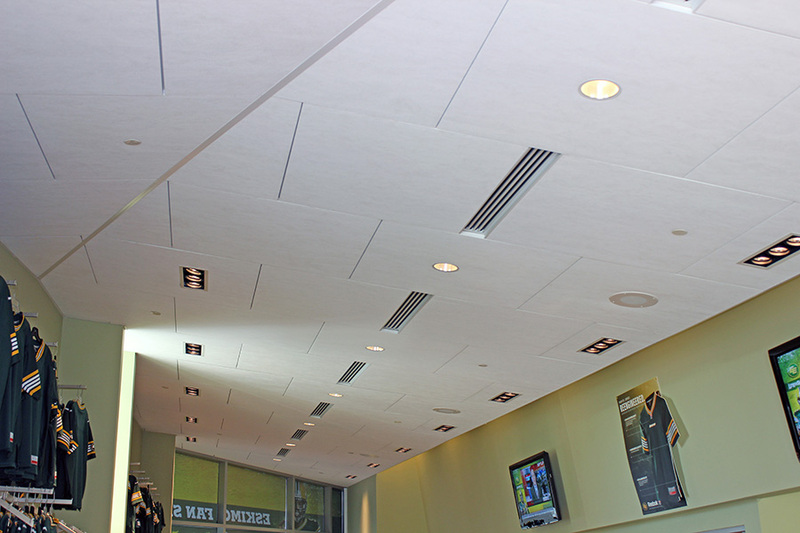 Most Avanti products are constructed using resin edge-hardened, 6lb/ft3 fiberglass covered with acoustically transparent fabric. 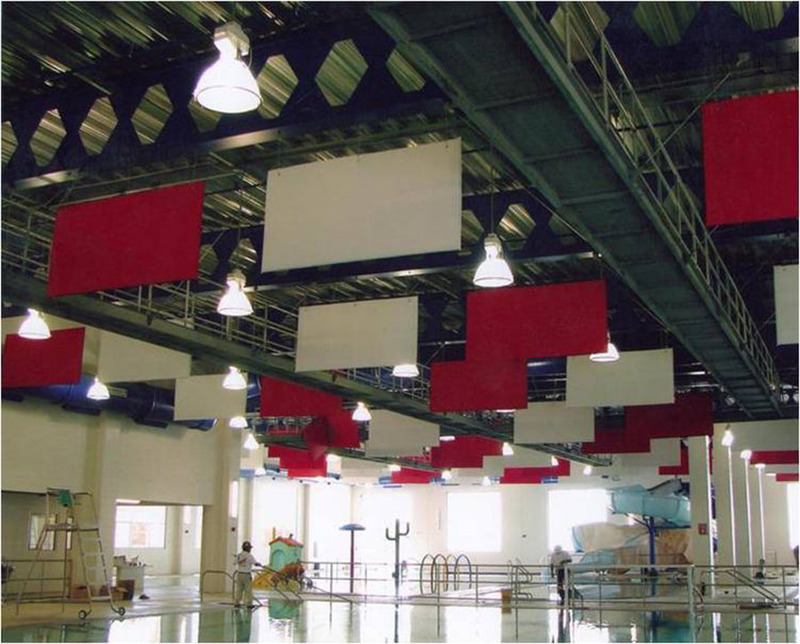 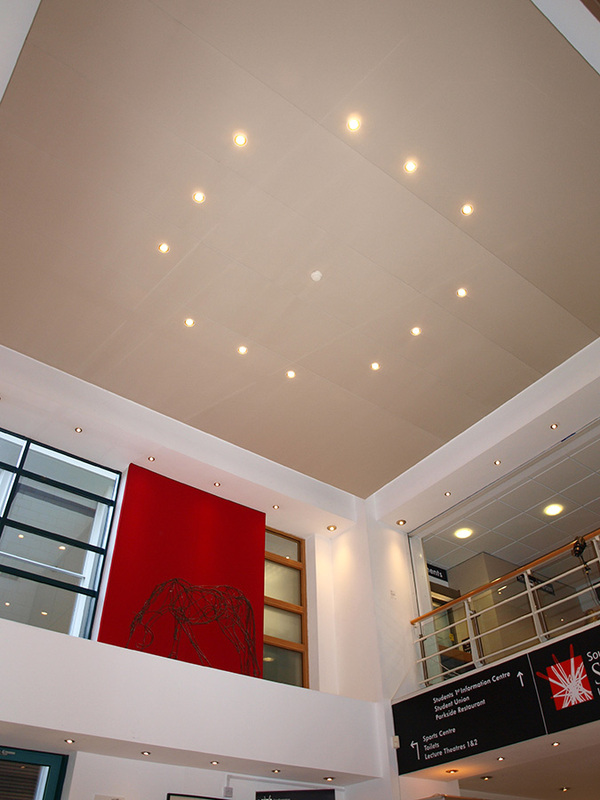 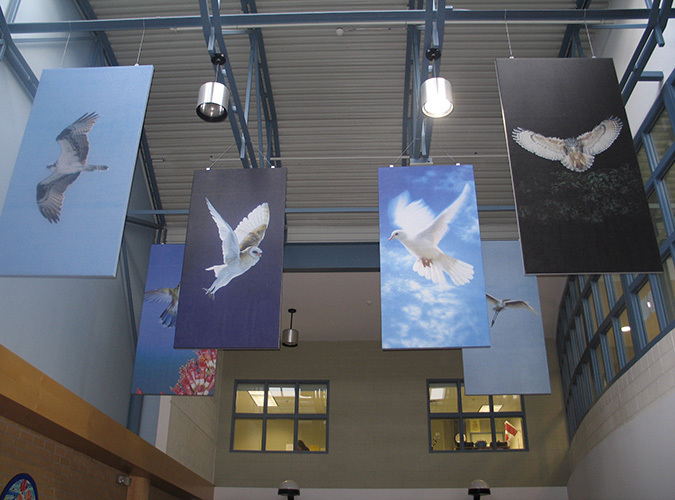 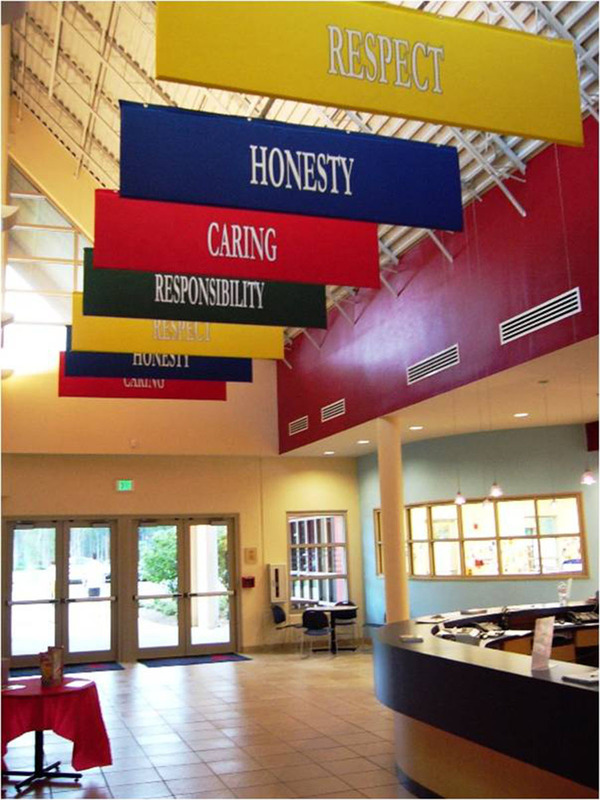 Panels are custom manufactured for each job to suit each particular situation. 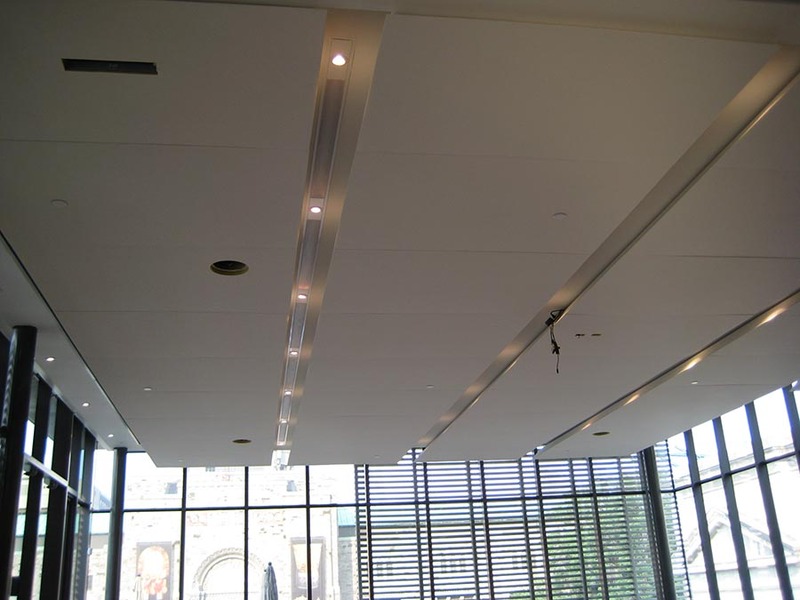 Options are available with regards to size, thickness, shape, choice of fabric, and mounting system. 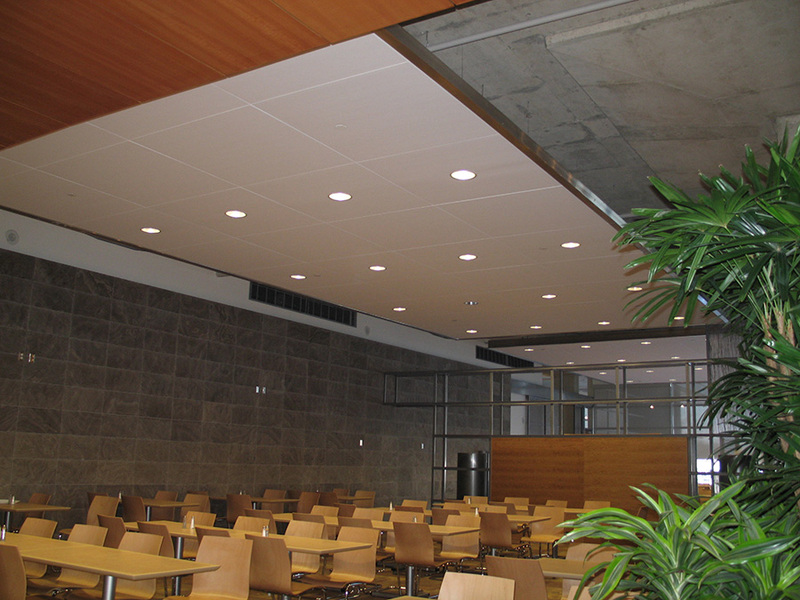 Avanti products offer superior sound absorption, tough abuse-resistant construction, environmental friendliness, quick and easy installation, and Class A flame spread rating. 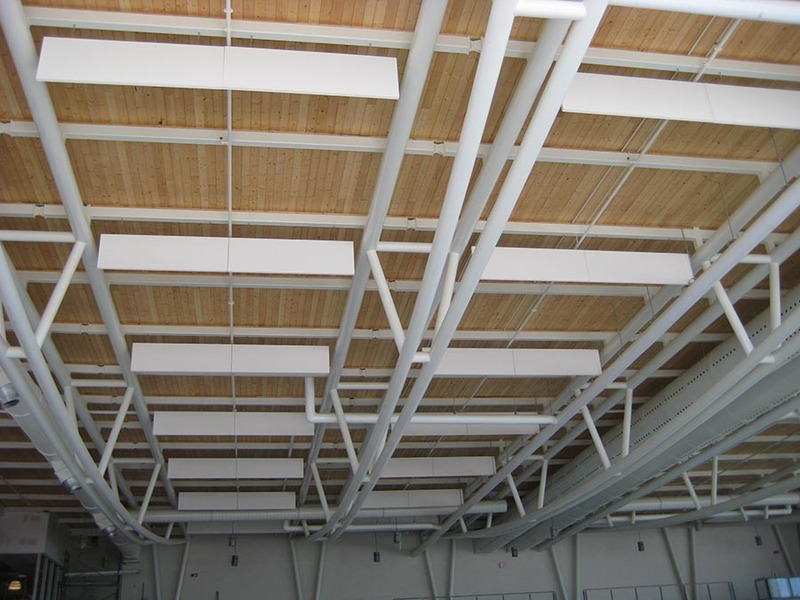 Creative Materials For Acoustic – CMA, Inc. manufactures fabricated and encapsulated fiberglass products that provide acoustical control to various commercial environments. 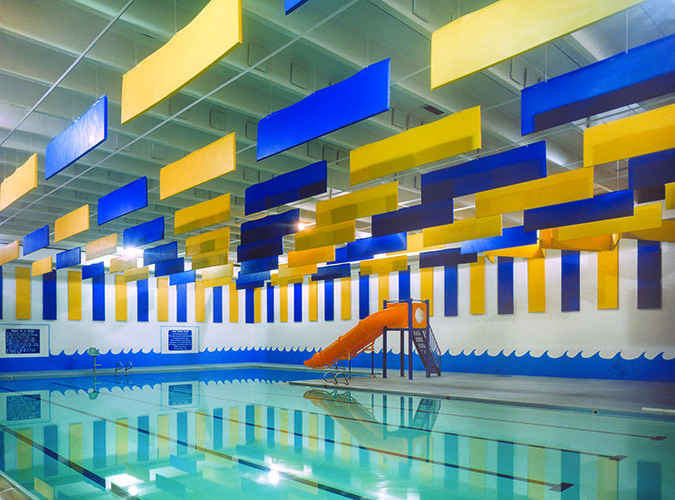 Special emphasis has been placed upon products and applications in educational and recreational facilities. 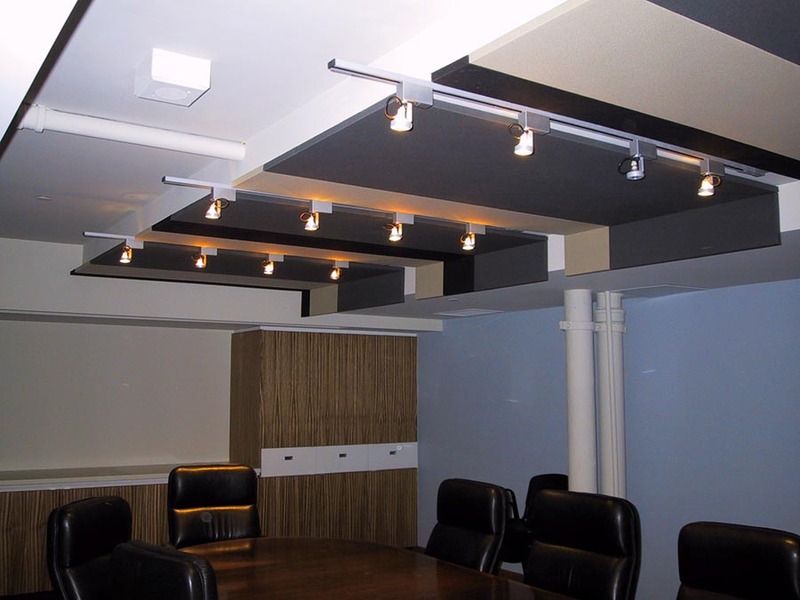 Over the past 12 years, CMA has developed an extensive product line that provides the most absorption of noise for the lowest dollar of cost!